This was my first time at Eyecare, but I felt like I was in the minority; I met so many delegates who come back year-on-year, referring to this as “the friendly conference”. It’s a great opportunity for a reunion with old friends and networking with new colleagues. 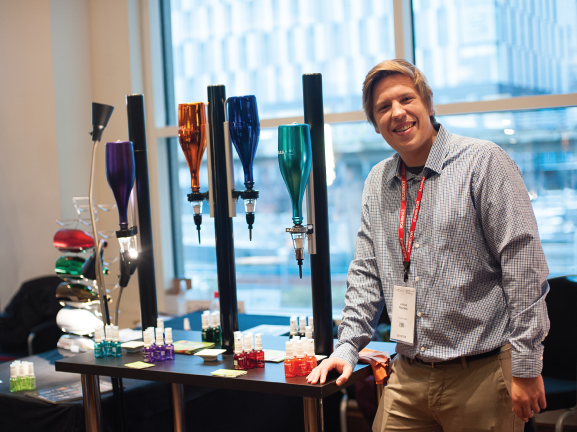 The exhibition made it easy and enjoyable to meet suppliers and manufacturers as well. An exhibition workshop on new OCT technology opened my eyes to fundus autofluorescence, which could provide important diagnostic information on retinal function outside of the hospital domain of fluorescein angiography. I also snapped up some samples of nutritional supplements, new-to-the-market eye drops, and ‘shots’ of spectacle lens cleaner from the ‘bar’. What made this conference special for me was how much choice there was, with two lectures and three workshops to choose from every hour, at no extra cost. 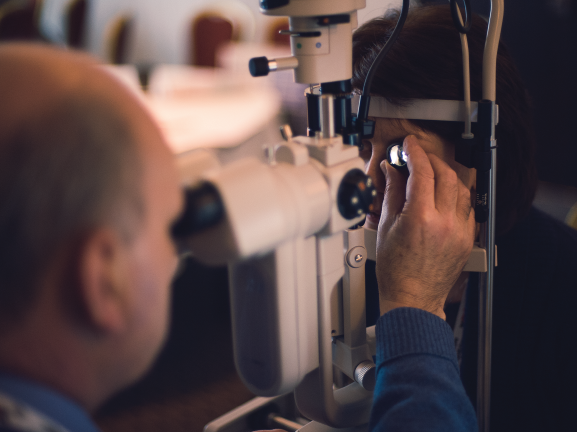 I attended a wide range of presentations, including why silicone hydrogel isn’t always the best choice, how we can easily help low vision patients in practice, and a recap on referral urgency of common eye conditions. But for me, this year’s hot topic was ‘dry eye’. With many practices now running specialist dry eye clinics, a whole new approach of squeezing, scraping and plugging is emerging. I’ve come home with plenty of ideas to implement. 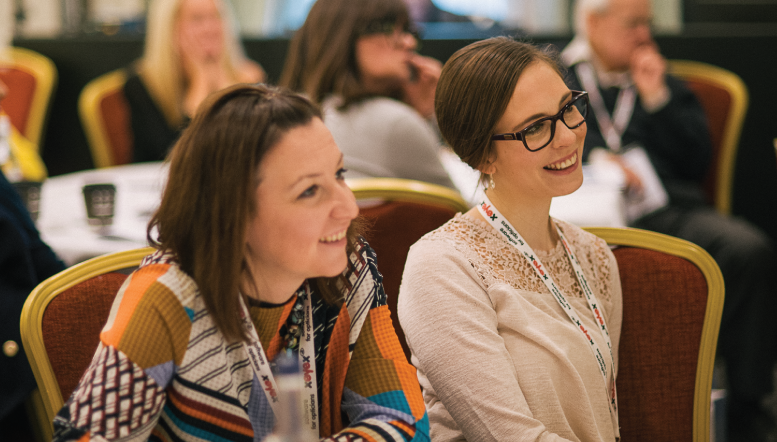 Another favourite was the Peer Review session over breakfast, which seemed so popular this year that it was fully booked in advance of the conference starting! As ever, a great way to learn from other practitioners and get an insight into other people’s opinions and working practices. So, since the early bird catches the worm, I’ll be sorting out my tickets for 2017 as soon as I can! Missed out on ?Eyecare? Here’s the day one highlights and day two highlights from the conference and exhibition. 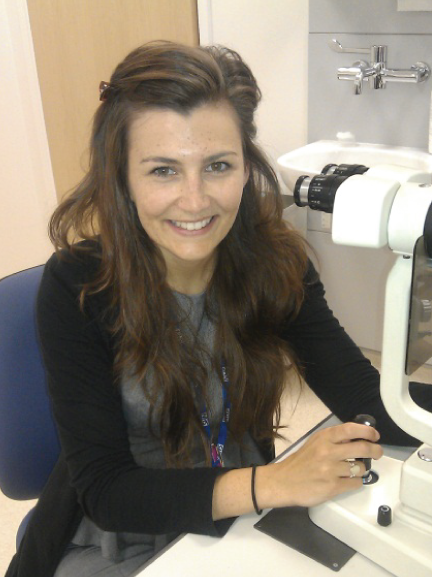 Katie has over ten years experience within optometry and after graduating from Cardiff University in 2011, she completed her pre-registration year at Manchester Royal Eye Hospital. With experience in two clinically driven independent practices, she now works in the refractive surgery sector. She is an accredited peer discussion facilitator and a faculty member at The Vision Care Institute of Johnson & Johnson. In recent years she has collaborated on CET approved distance learning for a number of providers and is currently studying for her Independent Prescribing qualification.